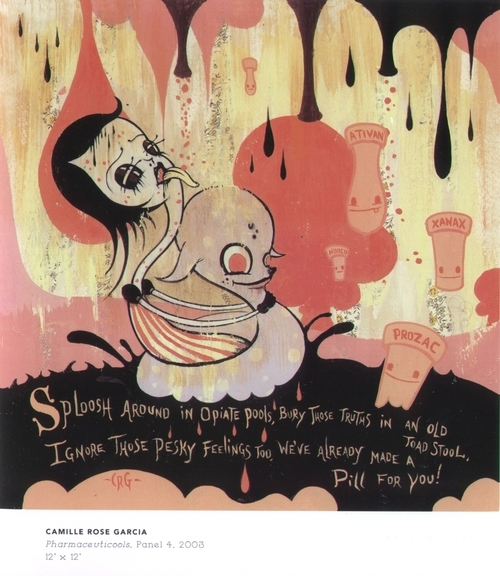 Camille Rose Garcia. Subterranean Orphans. 2004. Giclee prints on Canvas. Camille Rose Garcia. Pharmaceuticool. 2003. 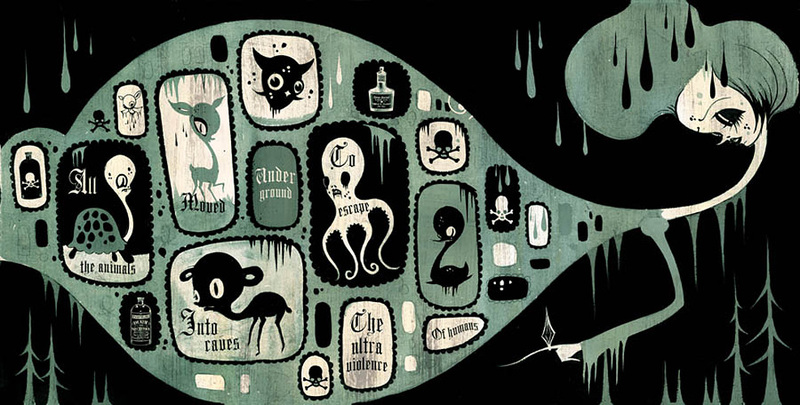 Giclee prints on archival watercolor paper.Created in 2003 for BLAB! Magazine, this 4 part print examines the highs and lows of pill popping and depression in America. Camille Rose Garcia. 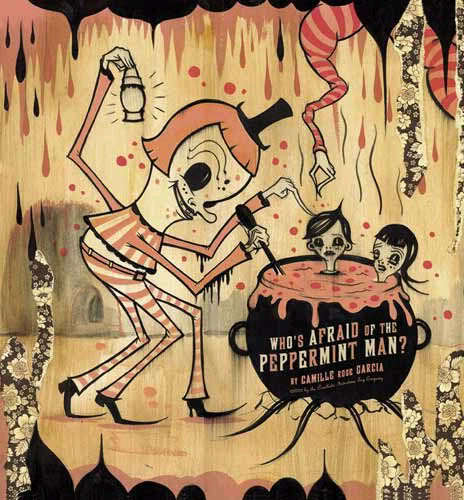 Who’s Afraid of the Peppermint Man. 2003. Created in 2002 for BLAB! magazine’s New and Used Collection, published by Fantagraphics Books, this 6 page story chronicles the creepy factory shenanigans of The Peppermint Man. Check out The Magic Bottle. I love it.